Our goal is to connect people with the best local experts. We scored wedding photographers on more than 25 variables across five categories, and analysed the results to give you a hand-picked list of the best wedding photographers in San Bernardino, CA. 909 Visual is a studio established by couple Joy and Wira to bring couples of the Los Angeles, California area fantastically unique images of their wedding. Recently the studio branched out to provide alternative services such as videography which is offered by couple, Lingkan and Hendry. 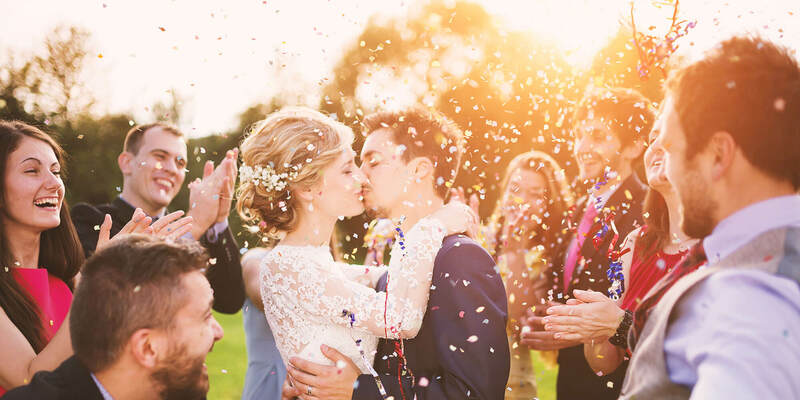 The studio has received much media attention including its reception of WeddingWire’s Couples’ Choice Awards from 2014 to 2016 and WeddingWire’s Bride’s Choice Awards from 2011 to 2013. Online the couples list their services in film or photography in coordinance with wedding events. They also provide a vast gallery of photos or examples of work completed in the past that can be paired with previous client testimonials to solidify new customers' confidence in the team further. Beyond Expressions Photography is a company operated out of Fontana, California that was established by Leymi Gutierrez to serve the Inland Empire. Gutierrez promises clients that their event, portfolio, or pregnancy will be memorialized with loving care in any style of their choosing. Internationally renowned, she has been featured in the Dark Beauty magazine; she is also a member of several prestigious photographers’ organizations in the United States and Mexico (her homeland). Influenced by the stark beauty of the West, Ms. Gutierrez’s style is very fluid and can metamorphosize woodland weddings into a fairy tale or record a royal Indian wedding with all the pomp or circumstance it deserves. Her work with models is groundbreaking, leading to her quick rise in the photography industry. Located in San Bernardino, CA, Earhart Photography has specialized in capturing images of families and celebrations since 1969. Their professional portfolio includes dramatic outdoor wedding photography, including color and black-and-white images, in natural daylight and nighttime settings. The studio showcases candid moments through unexpected angles and complementary lighting. They use natural and textured backgrounds to add depth to their photos. Maternity portraits can be taken of mothers only or with fathers and other family members included. Their casual photos of high-school seniors feature teenagers’ personalities and favorite pursuits, including sports. Pets are welcomed into family portraits. Their website features a password-accessible events gallery for clients. FameShotMe is a family owned photography and videography business that provides services for weddings, headshots, portraits, boudoir, families, couples, business, products, real estate, and other occasions. Comprised of a team of experienced photographers and videographers, FameShotMe is capable of providing both shooting and editing services. FameShotMe offers professionally edited digital photos, printing rights, and the option for high-quality albums or gallery wrapped canvas. In addition, they provide multiple sizing choices for professional grade photo prints that are printed in labs with high caliber paper and ink. Their videography is equally extensive, with full 1080p video, editing, multiple angles, and high definition sound to ensure a cinematic benchmark. Heart Rock Photos is a photography business owned and operated by husband and wife photographer duo, Cullen and Lisa Reavley. Based out of Southern California, Heart Rock Photos serves the greater region of SoCal including the Inland Empire and the surrounding mountain cities of Lake Arrowhead, Crestline, Running Springs, and Big Bear. Heart Rock Photos have a combined total of over 40 years of professional experience and have previously shot in locations around the world including London, Los Angeles, and Miami. The duo has a background in celebrity photojournalism and promises experienced and reliable service that is insured as well. Heart Rock Photos provides wedding photography, engagement portraiture, real estate photography, family portraiture, maternity shoots, newborn shoots, and boudoir sessions. Josh & Carrie Photography are photographers in Lake Arrowhead, California that specialize in wedding photography, engagements, family portraits, and event photography. Though based in Lake Arrowhead, Josh & Carrie Photography’s service extends throughout the mountain cities in addition to Southern California and the Inland Empire as well. In the local area, they are considered the preferred photographers for establishments such as the Pine Rose Cabins, the San Moritz Lodge, Willow Woods Park, The Tudor House, and Tree Top Lodge. In addition, they are members of the Lake Arrowhead Communities Chamber of Commerce. For their wedding collections, Josh & Carrie offer complete customization and accommodate clients throughout the entire process including wedding album and print ordering. Additionally, they are also willing to travel for destinations but do require inquiry. Uriel Photography offers professional wedding photography services in San Bernadino, California. Owner Rachel Bernstein began her career as a model and developed an interest in photoshop as the editor for Legacy Portraits, CA, which eventually led her to pursue photography as a full-time career. Rachel chose the name Uriel after one of the seven Archangels who rule over humanity and the domain of creativity. Features of her work include several print publications like Surreal Beauty, Flawless, and PrismPhotography. Highly rated on WeddingWire, couples who have used Uriel Photography say Rachel made the photo shoots fun for everyone and captured beautiful, candid pictures.